Juliet Davenport, Good Energy chief exec. Image: Good Energy. Since its founding 15 years ago, Good Energy has garnered a reputation for being ahead of the industry’s curve. A solar developer before the technology was so popular the government had to kneecap it, an adopter of tech solutions ahead of its time and, now, pre-empting Ofgem’s efforts to overhaul the energy supply market. 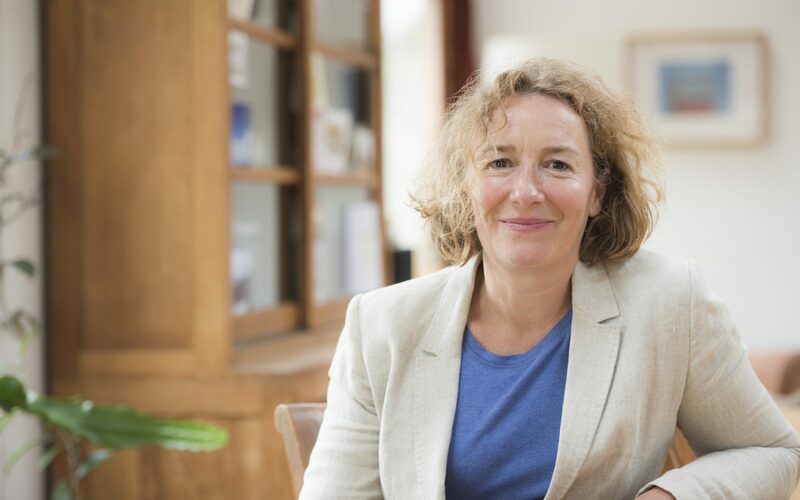 Talking to Current±, Good Energy’s chief executive and founder Juliet Davenport ponders just what the future holds for energy suppliers in a troubled market. Earlier this week Ofgem concluded that the existing ‘supplier hub’ energy model will not be fit for purpose for much longer. It’s a damning assessment from the industry’s own regulator, but hardly surprising considering the pace of change in the energy market. Whether it’s discussing the emergence of an era of ‘EnTech’ or surmising that the very crux of how consumers are billed – the kilowatt hour – “must die”, you cannot move in energy industry circles now without discussions leaping to what shape the supply sector will shift to next. But Good appears ahead of that curve. Davenport says that the firm recognised around two years ago that a pure retail play just wouldn’t cut it for much longer. But in truth the emergence of the company starts some time before that. Davenport has a long and storied history in the energy market having entered it some “15 or 20 years ago”. Back then, she says, the accepted model was that each year, consumers would use more energy and, each year, suppliers would be able to take a margin on that energy, safe in the knowledge it wasn’t going to be eroded. And that worked. For five or ten years. But the emergence of competition in the market, coupled with the environmental necessity that we consume less energy, has rendered that margin-based model almost entirely redundant. “The market doesn’t look like that anymore, so you can’t accept that a margin model is going to work in the future,” Davenport says. Noticing that the times are a changin’, Good has been steadily investing and amassing knowledge in a number of decentralised energy business models. 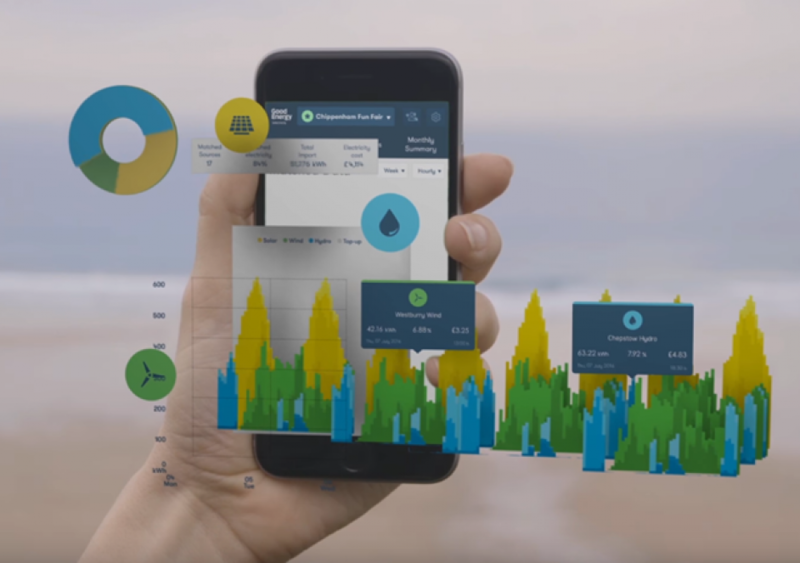 It was the first to express a real interest in Open Utility’s Piclo platform, using it as the backbone of a renewable energy matching service for business customers now dubbed ‘Selectricity’. It raised £10 million last year to pursue ambitions in energy storage and electric vehicle charging – bringing it into more direct competition with arguably its fiercest rival in the space, Ecotricity – having already ploughed significant resource into a back-end overhaul that didn’t exactly go to plan. “The market doesn’t look like that anymore, so you can’t accept that a margin model is going to work in the future." And, last spring, Good Energy announced that it was streamlining its operations in order to pursue smarter energy markets and personalised offerings. Its utility-scale renewables development division, formerly a major element of the firm’s business model, was shuttered amidst swinging cuts to subsidies and Good embarked on a journey towards an evolved supply offering. Some details were teased towards the end of 2017, but it wasn’t until this June that the company unveiled plans to “spearhead” the energy transition with a series of investments in new tech capabilities and senior hires. The last two years of development has led Good Energy seemingly down the ‘Energy as a Service’ path, one that’s becomingly increasingly well-trodden in the sector. It flies almost entirely in the face of the margin model of the past and puts the customer right where they should be; precisely in the middle. “To a certain extent we’re looking to really focus on how we facilitate people in their homes and businesses to generate their own power, to take back control in terms of where their power comes from, and become a facilitator in that rather than just a supplier,” Davenport says. Such a plan also ties in with almost all of the noises emanating from Whitehall and the regulatory sphere. Last year’s Smart Systems and Flexibility Plan, a collaborative piece from Ofgem and the Department for Business, Energy and Industrial Strategy, unveiled a grand plan for a smarter energy system that would effectively require a near complete rewrite of the rules. Ofgem’s conclusion on the future of the supplier hub model only serves to reinforce the need for that overhaul. Davenport has held this view for a long time. “It becomes much more of a service-led model… We’re going to see far less electricity supplied from across the country because people will be generating their own,” she says, adding that growth in domestic generation has led Good Energy to take a ‘bottom up’ view of the market, flipping the archaic centralised generation model on its head. But generation is only a part of the journey. If the transition is to truly take hold then the whole system will need to adapt and change and, simply, become more than the sum of its parts. Thankfully, the sector is “coming of age”, as Davenport puts it. Facilitation technologies such as smart controls, digital blockchain and 5G connectivity are coming to the fore and placing decentralised energy “in a place where it can actually function”. Much has been made of the application of such technologies in the energy sphere. Blockchain, AI, machine learning et al have taken on a somewhat mythical aura in the sector, held aloft as great enablers in much the same way batteries used to be by the renewables sector. Battery storage was famously dubbed as renewables’ silver bullet for years before it became a genuinely marketable solution, so will blockchain and AI face a similarly lengthy wait? Good has placed a range of these smart technologies within its core domestic offering, promising to “empower” customers with more data, more visibility and more connectivity. Bringing that all together in once central location – a new consumer-facing app is in development – is only the start. But Davenport is quick to lament the desire to throw technologies into the mix “for technology’s sake”. “It has to be led by customer need… then we can work things through with them and work out how to actually tie all these technologies together,” she says. That view point goes some way to explain Davenport’s frustration with the smart meter roll-out. The government’s recent decision to grant SMETS 1 meters a stay of execution and allow suppliers to continue installing them, despite being chronically outdated, has been lambasted by critics of the scheme. And let’s face it, said critics haven’t exactly been short of ammunition. Good Energy has only ever installed SMETS 2 meters due to the levels of interoperability they hold over their predecessor types, and Davenport isn’t backwards about coming forwards on the subject. “I think it’s completely typical of government; not enforcing a project properly and being swayed by big lobbyists. I think it’s outrageous they’ve pushed [the SMETS 1 deadline] back. I think they should stick to their guns, kick on with SMETS 2 and make sure the consumer gets the best product out there,” she says. Good Energy's Selectricity product remains only available to its business customers. Image: Good Energy. All of this points towards what Good clearly sees as the future of energy, and it broadly sits in line with much of the government’s current thinking. The market is flipping on its axis, placing consumers at the heart of the system. And Good wants to place itself at the forefront of this pole-shift with a new model that embraces consumers first and foremost, rather than commodities.. Domestic solar and storage indeed looks set to play a major role. Solar – “a really simple, brilliant technology” in Davenport’s eyes – will be part of Good’s business in the future and the company is investigating the prospects of installing once again, albeit on consumer roofs rather than farmer fields. But while storage has the potential to be “quite transformational” when combined with solar and EV charging, Davenport admits to having found herself frustrated with it, predominantly because it’s still lacking a clear customer proposition. “It hasn’t really thought about itself from a customer point of view,” Davenport says of the sector. “What does it do for the customer, how does it help reduce their energy wastage, how does it help the customer facilitate them in their own home?” she asks. But these look like being longer-term plays. For now, the immediate opportunity is in broaching this service-led model and testing the consumer waters. While some industry stakeholders remain convinced that the future lies in a broadband-esque subscription model, Davenport says in reality it may be somewhere in between that and where we stand now due to the very nature of energy’s marginal cost. Davenport says that much of the supplier’s work at the moment is on a tech platform that would be capable of launching a service-led model into the wild. It’s where most of the firm’s investment – both from a capital and resource perspective – is headed over the coming six to 12 months. Only then will Good look specifically at how the service may work in practice, and Q2 2019/early 2020 is Davenport’s best guess at when these products will launch. Good is learning from previous missteps – an investment in digital and technological expertise is clearly aimed at avoiding issues like those faced when it migrated to an ill-prepared billing system – and it’s benefitting from being far more nimble than some of its competitors in the market. Quite how long that will remain an advantage remains to be seen. But having spent the best part of two years preparing for the energy transition, undoubtedly the most profound change the industry has seen in more than a generation, can only stand the supplier in good stead.